College of Art and Design in Denver, Colorado. They have two wonderful boys that have been very tolerant, and supportive of their parents' artistic obsession and hobbies. 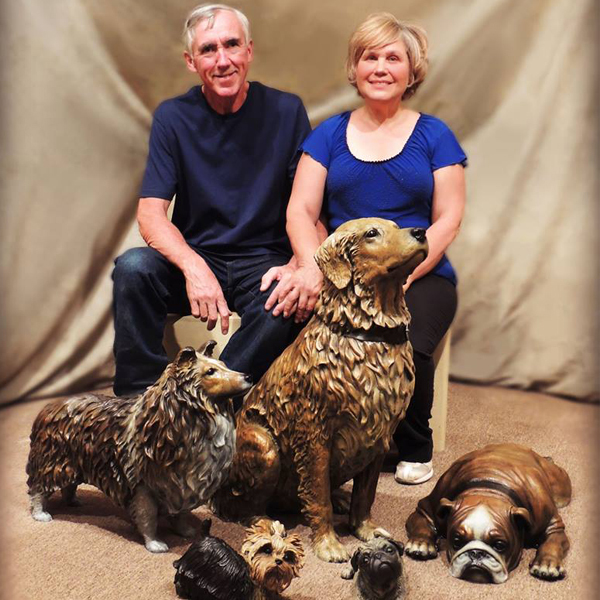 Bill and Renee also had the honor and privilege to share their lives and family with their best friends; their dogs. For years Bill painted oil landscapes and Renee cut her scratchboards that were displayed and managed by several galleries throughout Colorado. In 1989 they left their two-dimensional pieces behind and began to collaborate and create sculptures.